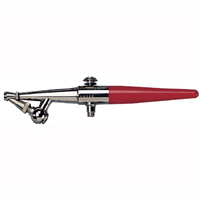 Paasche’s VL is known as the “workhorse” by working professionals for painting T-shirts and vehicles. 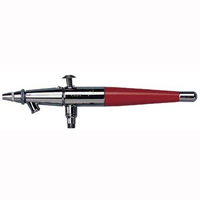 This siphon-feed, double action, internal mix airbrush can spray heavy fluids such as textile paint, auto lacquers, and enamels. Paasche's Model VL is available with three different multiplehead assemblies. The Paasche Model VL is suitable for both left- and right-handed users. The H is easy to own and use — It's the perfect tool for airbrushing jobs that don't require the sophistication of a double action brush. 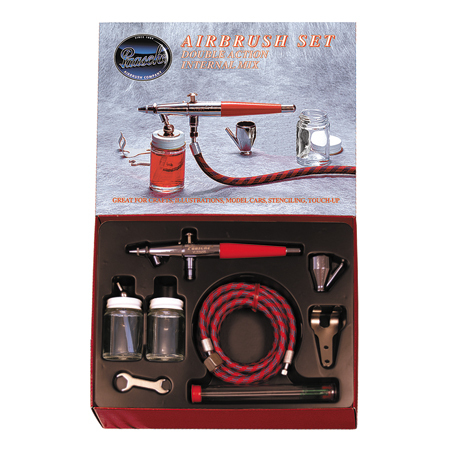 This airbrush include a ¼ oz color cup, wrenches, a hanger, and a lessons booklet. The Paasche Model H in any one of three sizes and, by purchasing the other size air caps and color-adjusting parts, you can change easily from one size to another.